We all know that exercise is good for us. It’s part of a healthy lifestyle. Regular exercise can do more for you than just help you enjoy better health and help you maintain your desired weight. While it may not be possible to recover the energy of childhood, you can boost your energy level now. Exercise helps you build strength and endurance, and that means that, over time, you have more energy to accomplish your daily activities without feeling run down. Do you have trouble falling asleep? If so, more exercise during the day can help. Your body is more ready for sleep at the end of the day if you have exerted physical effort. This means that you sleep better at night — and are more likely to wake refreshed in the morning. Good sleep is important for a number of reasons. When you are well-rested, your mind is more alert and you make better decisions. Additionally, when you are less tired during the day, you are able to resist impulses. Whether it’s the impulse to eat junk food, or the impulse to buy something you don’t really need or want, a better sleep schedule can help you avoid the pitfalls of poor decision-making. Exercise can also influence your mood. Studies show that exercise releases chemicals in the brain that promote happy feelings. You’ve probably heard of a “runner’s high.” I have never experienced a happy feeling from running, but I do feel good after swimming, or after kickboxing. Find an exercise you enjoy, and you will feel good after doing it. Another way exercise can improve your mood is by helping you feel better about your appearance. Regular exercise often goes hand in hand with feeling as though you look your best. This can result in a higher degree of confidence, which in turn benefits you in a number of ways, from relationships to work performance. It’s not just about boosting your mood; exercise can also help you relax. When you are frustrated, the physical activity, whether it’s a brisk walk or an all-out aerobics session, can help you release your frustration and reduce stress and anxiety. Many people use exercises like yoga and tai chi to help them relax as well. Depending on the exercises you choose, it’s possible to improve that mind/body connection through physical activity. A brisk walk outside can connect you to nature and help you relax. I like swimming. I enter an almost meditative state when I swim. This helps me focus my thoughts and calm my mind. Regular exercise is one of the best stress relievers. Studies indicate that regular exercise can also boost your intimate relationships. You feel more energetic, rather than feeling too tired for physical intimacy. Additionally, as you exercise and start feeling more confident about your appearance, it’s likely that you will feel less self-conscious about your physical encounters with your partner. 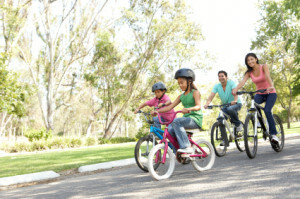 Physical activity can help you save money as well. When you are healthy, you don’t have to spend as much on medical costs. This is especially important in the United States, where you have to pay for your health care directly. Good health can save you money by helping you avoid expensive and chronic conditions like Type II diabetes, hypertension, heart disease, and more. On top of that, exercise builds muscle and bone strength so that you are less likely to suffer severe consequences from a fall or from some other cause. Over time, regular exercise can save you quite a bit of money, no matter where you live, or what health programs you have access to. With the right exercise program, you can improve your life in a number of ways. You don’t have to devote all your free time to exercise; 30 minutes of vigorous exercise a few times a week is usually sufficient to help you make solid improvements to your life. We humans were not sit in cubicles! Well we can’t avoid that, but the least we can do is get at least 30 minutes of some form of physical activity. Even small things like taking the stairs instead of the escalator or the elevator counts. So true! Just looking for small things to do can make a big difference overall. This is all so true! I’ve been exercising twice a day and I’ve never felt better. I’m energetic and in a better mood. I’m also less stressed in general. That’s great! I’ve also noticed a difference now that I’m exercising more. I feel much better. I am more exhausted when I dont exercise then I am when I do. Sleep is great when I work out or go running on the beach. We need to do something besides sitting on our butts all day and either staring at the tv or computer screens with food in our hands and mouth. 4 and 5 are my favorites! Good point about the sleep! I sleep much better at night, and I’m better able to face the day if I’ve been exercising. This is so true. I really need to exercise more. I feel like I have no time, but that is not an excuse. I’ve got to make time for it. So many benefits from exercise. It’s all about priorities. I had to carve out the time for it, but I’ve found that things go much better when I start the day with exercise. Great points! I find that I’m way more productive after a workout, which makes it worth taking the hour every day. There are so many benefits to exercise, I’m even depressed knowing I don’t exercise enough 🙂 Maybe you could right an article in the future about motivating yourself to exercise. I have just started running and it feels great, still looking for that running high though. Hope #5 is true haha! I hate running 🙂 But I know that lots of people like it. The key is to do what works for you. Glad you found something you enjoy. I try and run every other day. Not only do I feel good about myself when I do it, but like you stated I feel more relaxed. Good for you. I try to get 30 minutes of exercise a day and I mix it up. That way I never get bored. I used to run and would like to get back into it. Those are great points! When I was a kid running track I would get a runner’s high; and when I wasn’t running I sure was thinking about it! Just wish I exercised more like that these days. I think i’ll go for a bike ride later! It is easy to get caught up in the to do lists. I find scheduling time each day to get activity works really well. Hope you had a good bike ride. definitely agree with these tips! Exercise is so fantastic for health – mental and physical. great post! Agreed. I am a much more balanced and healthy feeling person when I get regular exercise. Six years ago, I would have said, Oh just another Benefits of Exercise post, but I have since started exercising every day and can attest to the truth of every statement you mention. Since I have committed to walking every day, I have lost 35 lbs, decreased my anxiety, increased my ability to fall and stay asleep, and I am much more fun to be around. You can take my house or “things” but you can’t take my exercise. I will fight for it! Running didn’t work for me. Biking either. Walking is my exercise of choice – FREE and you can do it anywhere! I also add weights three times per week. My arms look better and it calms me. Great post, Miranda. Thank you! That is great to hear Tammy. I am glad you have found such benefits from exercise and pushed yourself to give it a try. I find exercise really helps with my stress and anxiety. I feel much calmer and can sleep better. Walking is great because you can do it anywhere. Congrats on the weight loss. That is fantastic. Staying active improves your life in many ways. I think it helps your decision making and other cognitive abilities. I would agree. I find I am much more productive at work and can think clearer when I get exercise. Exactly! I always push exercise as a boon in your life far beyond weight control. Those who exercise regularly know–those who don’t refuse to believe! True. It can get addictive after a while because it just feels so good.